My friend, Kim (blogger Tranquil Dreams) tagged me for this book list. You can read her answers here. 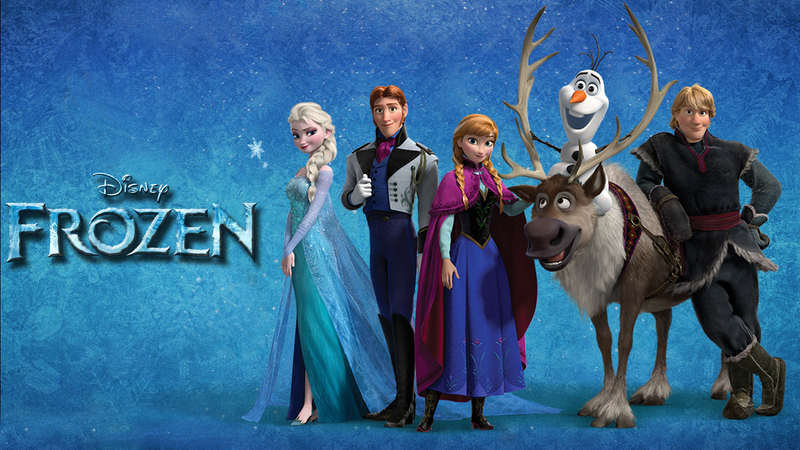 I like the movie Frozen not only because it’s a good story (and I like the song too), but also because the ending is not the typical happily-ever-after that most Disney movies have. 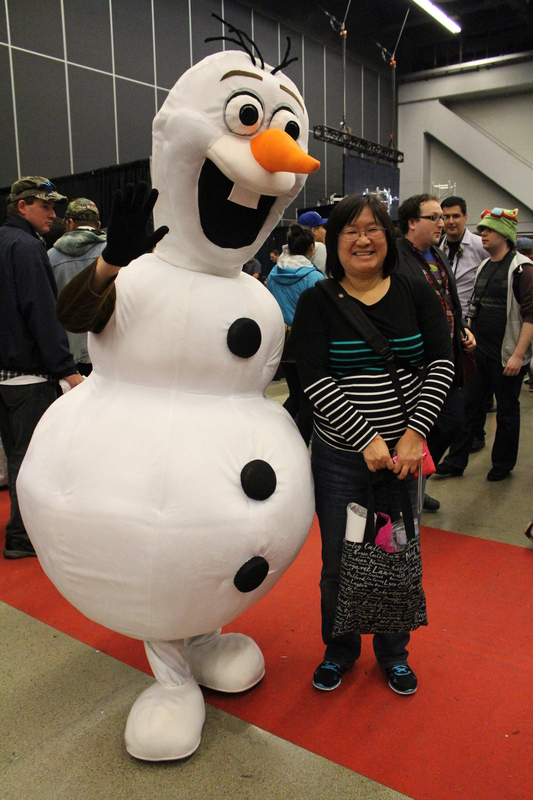 Last year, when I went to Comicon, I saw Olaf and just had to take a picture with him. He’s so huggable! Anyway, the questions are fun, but weren’t so easy for me to answer. I love too many books to chose just a few, but here we go! Elsa – find a book about a main character who doesn’t realize how awesome they were until the end of the book. I loved The Curious Incident of the Dog in the Night-Time by Mark Haddon. Christopher John Francis Boone is an autistic boy who solves the biggest mystery of his life. Anna – find a book that makes you feel good about yourself. Confessions of a Shopaholic by Sophie Kinsella. I totally understand Rebecca Bloomwood’s obsession with shopping and am glad I’m nowhere near as bad as she is. Hans – find a book that at first you thought you were in love with, but then you realized you hated. Fifty Shades of Grey. I was caught up in all the hype and couldn’t wait to read it. I put my name on the library waiting list and waited two months for it. After the third chapter, I closed the book for good because it was so badly written. This book is a perfect example of why it’s so important to have a good editor. Kristoff – find a book that was so intense when you were reading or done reading that you just wanted to be alone. A Fine Balance by Rohinton Mistry and Chinese Cinderella: The True Story of an Unwanted Daughter by Adeline Yen Mah. Both of these amazing stories tugged my heart. Sven – find a book with a lovable/loyal pet character. The Story of Edgar Sawtelle by David Wroblewski. Beautiful story of a fictional breed of dog known as the Sawtelle dogs and the one named Almondine who is Edgar Sawtelle’s friend and ally. Olaf – find a book you love to read in the winter and the summer. That would be the Harry Potter series, hands down. I’m supposed to tag other bloggers to keep this going, so I will, but it’s not an obligation: Selena Kray, Alexa Nazzaro, Karen Avivi, want to give it a try? If anyone else would like to volunteer, please do! This entry was posted in Authors and Books and tagged books, Disney, Frozen, postaday, writing. Bookmark the permalink. I also decided not to see the movie because of the book. I didn’t think it would be any better. Did you?